"The yells turned to wails. 'Down! Get down! Teeeeeeent! TEEEEENT!' It wasn't working. He needed to run. I ... got up behind Rowan myself, turned Blackie with my legs, and kicked her into a gallop. The wails went up a notch, echoing off the hills around us. Rowan had his eyes tightly shut. What was I doing? Yet again that inner voice, irrational as ever, said, Give it one more try. I ran the horse full tilt toward the far hillside, then swung my weight back, bringing Blackie onto her haunches, wheeling her around, and setting her at a hard run back toward the tents once more. Rowan's wails stopped, replaced by a giggle. 'You little faker!' I yelled. "Fakerrr! said Rowan, and giggled again. 'You little Scubby Boy,' I said, using his pet name. "Jesus, you had me worried. Want to go for a run?' Rowan opened his eyes, gave a look of pure devilment, and said, 'Run " Pages 165 & 166 "The Horse Boy: A Father's Quest to Heal His Son"
Films that depict antidotal scenarios, familiar characters both fictional and non-fictional have become more prevalent for the autism culture over the past 5 years. Having a production background, I was often asked why I didn't document my experience as a Mom dealing daily with two very different sons diagnosed with autism. As difficult as it seemed, eventually shooting began ... three years later editing is just about completed. The documentary, "My Thiero Boys: A lifestyle dealing with Autism," presents the real life battles and blessings family's like ours encounter and endure. Through divine intervention it's my hope that exposing what we face will help others understand and learn how to include our children into society both socially and professionally. I applaud autism advocacy filmmakers. Their work inspires everyone!!!! 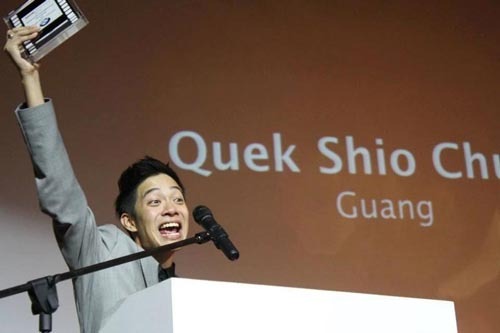 Go befriend Shio Chaun Quek, the filmmaker, on Facebook and tell him how much you loved his film. I did! He also wrote and edited this touching little movie. Guess what? He is the Actor that plays the Younger Brother, Wen Guang! The stats in Korea are 1 in every 38 children is in the autism spectrum. An important fact to feature at the end of the film. Shio Chaun's insight derives from his direct relationship with autism. His brother Shio Gai is in the spectrum. Those of us who have unique yet universal stories to tell, better get on it! Look at this young man who is sharing our story ... which is his story, like many autism advocacy films before. I'm sure you've seen "Autism The Musical" by Producer/Director, Tricia Regan. It was on HBO. Have you seen "A Mother's Courage: Talking Back to Autism" by Fridrik Thor Fridriksson? 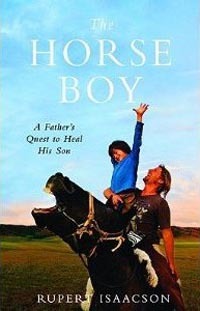 What about "The Horse Boy: A Father's Quest to Heal His Son" by Rupert Isaacson? What about Dustin Hoffman's Oscar Award winning performance along side Tom Cruise in "Rain Man?" Remember THAT film started it all! Then came Sean Penn and Michelle Phiefer in "I am Sam." Did you see Claire Dane's Emmy winning & Golden Globe winning portrail of legendary autism cultural Icon, Dr. Temple Grandin, in the HBO film "Temple Grandin." There's a fascinating doc "Dad's In Heaven with Nixon" on the family of Artist Chris Murray, born autistic. This striking story is told by his brother, Tom Murray. The most recent theatrically released ASD documentary was "Wretchers and Jabbers" by Gerardine Wurzburg about two guys who travel the world to help people change their reactions and perception regarding disabilities. These movies make us laugh, cry and expand our beliefs as they teach us the most a-typical of notions. We watch and learn to release engrained concepts in order to venture into the unknown. These are movies that help us walk through the door of understanding. We Parents of Special Needs children often stumble upon it. We slide in by default realizing why what WE THOUGHT WOULD WORK for our kid actually had an extreme adverse affect. It's really not fun. I've -believe it or not- forgotten and had to re-learn these lessons, remembering I had actually known that it ... caused a problem not a solution. Like, telling people a funny thing Carter said or did! My doing this elicits a huge riff and endless tales of how I always do that to him!!!! Brittney Spears said it best, "Opps I did it again, I played with your heart, got lost in the game. Oooo Baby baby." Thank God, I've gotten sooooo much better. "Wretches and Jabbers" teaches us to consider the feelings of ASD individuals. "The Horse Boy" teaches us to trust our Parental instincts especially when they seem far out. "Autism the Musical" teaches us to get our children involved - to push them even - yet stand close by to help others discern/read or rangle them. "Rain Man" shows us what not to do. "Dad's In Heaven with Nixon" uncovers the often hidden brilliance of ASD individuals. 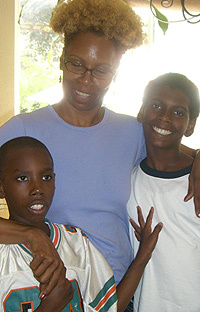 "A Mother's Courage" exposes methods for non verbal spectrum children to communicate, thoroughly. The "Temple Grandin" film gives us insight to the thoughts and genius our children may possess. "Guang" sensitively depicts the plight, burden and love of sibling care givers. Share these films with those you know. Build your DVD library with movies about our norm. (See links to the left ;-) Inspire others to increase awareness through these wonderful stories crafted to tell people about the Super Heroes we know and love dearly. The Lord called me to create a documentary sharing how He helps me raise my children in midst of their diagnosis of autism in the midst of divorce and in the midst of survival as an at home Mom. The documentary's purpose is to help people understand and learn how to include the autism culture into society both socially and professionally by seeing what we go through. It's a blessing that ACT-Today's Nancy Alspaugh-Jackson, Special Needs Network's Areva Martin, Esq. and Author of "The Autism Book," Dr. Robert Sears became a part of the documentary to provide facts that affect families like ours. The premiere screening will be on February 25th, 2012 in our town, Sherman Oaks, CA. God has inspired me in my trials to inspire others. Talk about a humbling experience! Please visit mythieroboys.com to learn more and encourage those in your town to host a screening of "My Thiero Boys: A lifestyle dealing with Autism." Your support, small or large, will grow this world's autism awareness. One day complete acceptance with will be the rule!